Guest what I've been making? Only the most delicious Christmas treat there is! 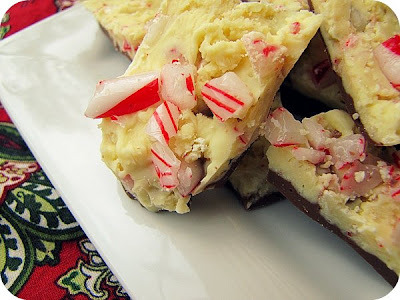 I love my super simple version of Peppermint Bark - all you need is some white and dark chocolate, peppermint essence and a few candy canes. But I warn you - it's very addictive (I've already had to hide it from the husband). ddeeeelicious. I'm making some very soon. This is nice for Christmas gifts too, if any of it can escape my kitchen. Looks yummy! Kids would love this! That's perfect for shipping! Yummy...and your pictures are gorgeous. LOVE Mint bark!! MMmmmm!! So yummY!! oh my! oh my! that looks positively yummylicious!! ummmm...can I give you my address? 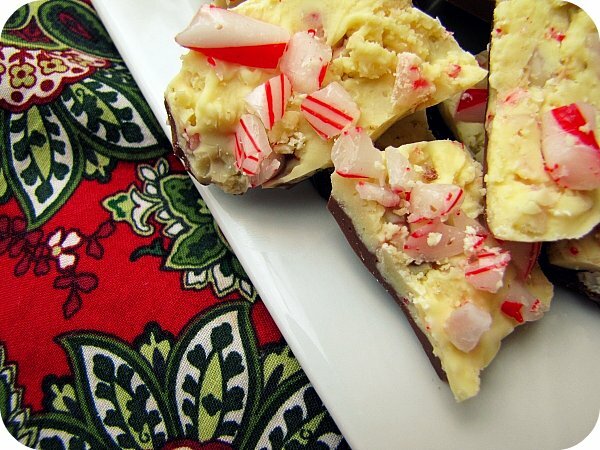 Peppermint bark is one of my favorite Christmas treats... thanks for sharing the recipe! Oh, I love this stuff and will check out this recipe too! oh yum! and snap - I just made white christmas rocky road...going to try out this one too - thanks! love your receipe. I literally just finished eating a version of the pepperment bark (had never heard of it before) which was yummy- but yours looks super amazing. I totally need to try that this year!! Yours always looks fabulous. Oh wow! How Christmassy is that?? ?